Synopsis:Four friends find them at the mercy of the ghosts within a former insane asylum when they break in in search of a death certificate that will provide one of them with a large inheritance..
Catch all our reviews on Facebook. Eloise is directed by Rob Legato, a visual effects whiz who has received Oscars for his work with such luminaries as Martin Scorsese (Hugo) and James Cameron (Titanic), but whose directing credits up to now have consisted entirely of second-unit work. It’s a rather workmanlike effort, which suggests that horror might not be Legato’s forte. The scares don’t really work – although the director isn’t helped by a weak and inconsistent screenplay from Christopher Borrelli, who decides around the hour mark to transform Eloise from a straightforward horror in which characters are picked off one-by-one into one of those mind bending time-travel movies in which time folds in on itself. The location is authentic, the history imparted onscreen largely genuine – apart from the ‘face your fear’ experiments conducted by the devil-like Doctor Brice (Robert Patrick – Striptease, D-Tox). Eloise was a Michigan psychiatric hospital – or insane asylum, as they were known in less enlightened times – for nearly 150 years. It was comprised of 78 buildings, only four of which remain today, and was once home to 10,000 people. A rich history is there to be exploited, and the potential for it to provide a forbidding backdrop for a horror movie is unmistakable. But, to his credit, Borrelli isn’t content to merely use the asylum as a spooky maze of narrow corridors and windowless offices, and tries to make the building a character in the same way that the Overlook hotel was in Kubrick’s The Shining. 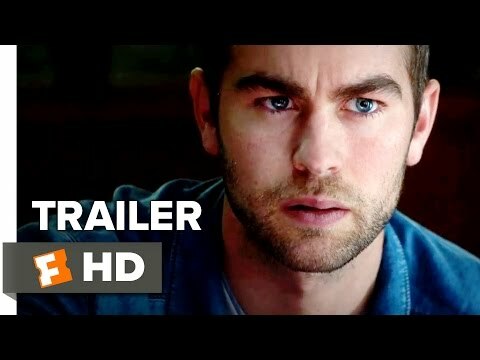 The half-hour before its shadows are first breached is spent introducing us to Jacob Martin (Chace Crawford), a hero with an ambiguous past who has inherited a whole lot of money from his late, estranged father. Before he can get his hands on the money, he needs to retrieve the death certificate of his Aunt, who died while she was a patient at Eloise, to prove he really is Dad’s last surviving relative, and is understandably reluctant to wait the six months or more before he can get access to it with a court order. He decides to pay the asylum’s archives a visit under cover of darkness, and is accompanied by his best friend (Brandon T. Jackson – Ali), an excitable autistic man-boy called Scott (P. J. Byrne – 29 Palms, The Wolf of Wall Street) who has an encyclopaedic knowledge of the asylum’s remaining buildings, and his foxy sister (Eliza Dushku), a barmaid who Jacob was earlier hitting on with no success. But what begins as something of an adventure turns into a nightmare when the asylum begins to play tricks with their sense of reality. While Eloise should be applauded for trying to deliver an original spin on a couple of familiar sub-genres, there’s no getting away from the fact that it falls far short of its objective. It all feels a little flat, to be honest. Only the highly excitable Scott has any kind of personality, but he’s written so broadly that he feels more like poorly sketched comic relief than a living, breathing person. Jacob is a fairly unsympathetic hero, forced to negotiate numerous plot holes and inconsistencies before finding himself whisked back to 1980 in order to learn a truth that makes little sense and takes the audience to a world far removed from the one they must have thought they were visiting.